The Barbie brand is certainly one of those things that has just as many haters as supporters. But I'm proud to say that I have been on the supporting side 19 years strong, and plan to continue to obsessed and in awe of the doll that has been a part of my childhood. Years of coloring books, collecting dolls and accessories, watching the various movies, and later, trying to convince my tom-girlish younger sister to love Barbie as much as I did have not changed the fact that as much good Barbie has caused for me and thousands of other girls, I’ve still had my qualms about the diversity of the dolls. While it’s awesome Barbie could be anything (and everything under the sun), that she wanted to be, for the longest time it seemed like Barbie couldn’t be like any girl. Being African-American, it’s been drilled into my head by my parents and even the society I live in how important representation is, not only for the minority group I belong to, but other girls who don’t fit the blonde haired and blue eyed makeup. Over the past two decades, there have been Hispanic, Latina, black, and white girls with different features such as red hair or brown eyes, but it made me think is this enough? Fast-forward to my high school days, and I discovered a line of dolls dubbed S.I.S. or So In Style created by a mother who wanted to see her daughter better reflected in Barbie and her friends. These dolls had varying skin tones and face molds that set them apart from previous black Barbie dolls, and there was much rejoicing!! 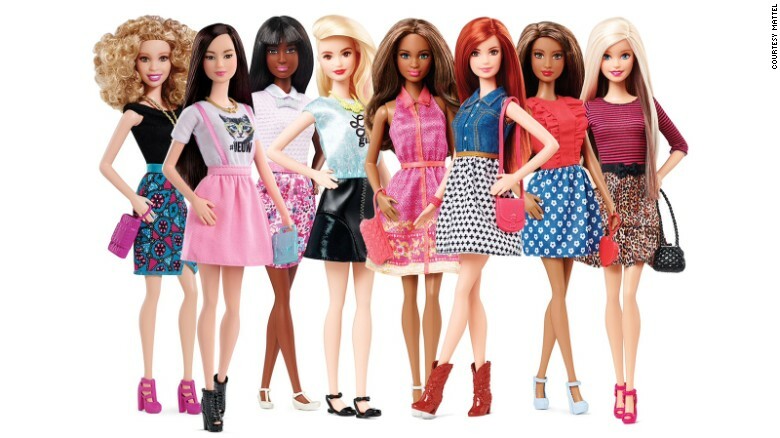 Just as if it couldn’t get any better, this year became the year of #thedollevolves, as Mattel and Barbie finally took up the complaints that Barbie’s body shape didn’t send out a positive image, and released their new line of dolls with tall, curvy, and petite looks, all still as fashionable as ever. Though this may be seen as a campaign only to change the way everyone looks at Barbie, I like to think of it as something my younger self could have never seen coming or think possible…and for that, I couldn’t be any happier. Here’s to the newer generation of girls who will spend just as many hours as I did playing with their dolls, this time, with girls who embody not only what they aspire to be later in life, but also mirror all the things that make physically make each of us unique.